Property Location With a stay at Global Resort Homes & Condos, you&apos;ll be centrally located in Orlando, convenient to Orange County Convention Center and SeaWorld® Orlando. 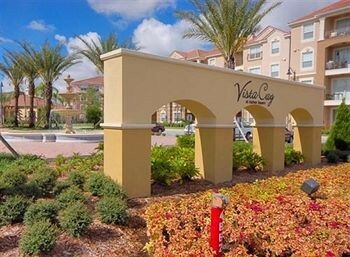 This condo is within close proximity of Aquatica and Pointe Orlando.Rooms Make yourself at home in one of the 674 air-conditioned rooms featuring kitchens with refrigerators and microwaves. Your room comes with a pillowtop bed, and all rooms are furnished with sofa beds. Rooms have private furnished balconies or patios. Computers with complimentary wired and wireless Internet access are provided to keep you connected, along with 42-inch plasma televisions for entertainment.Rec, Spa, Premium Amenities Don’t miss out on the many recreational opportunities, including an outdoor pool, a spa tub, and a fitness center. This condo also features an arcade/game room, a television in the lobby, and tour/ticket assistance.